We use only the finest ingredients in our products while putting an emphasis on freshness and consistency. Our customers frequently ask us "Why do your bagels taste so much better than everyone else's?" We simply tell them, "They are made the old fashioned way. They are hand rolled." Our menu has a wide variety of options including always delicious favorites, and other unique choices. Nyack Hot Bagels & Deli has been serving the community great tasting food since 1995. We use only the finest ingredients in our products while putting an emphasis on freshness and consistency. Our dedicated staff strives to provide our customers with fast and friendly service everyday. Our customers frequently ask us "Why do your bagels taste so much better than everyone else's?" We simply tell them, "They are made the old fashioned way. They are hand rolled." 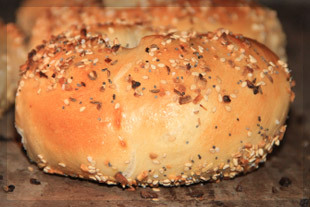 Truly authentic New York bagels must be hand rolled in order to capture that savory flavor. 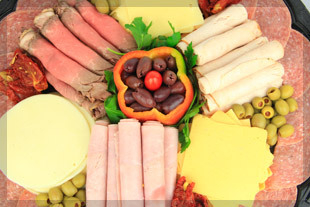 Nyack Bagels is the perfect choice for your next family gathering or party. We offer a variety of choices, each one more delicious than the next. 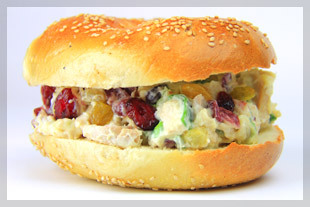 Not to mention breakfast or lunch options on our World Famous bagels. We use only the finest ingredients in our products while putting an emphasis on freshness and consistency. Our menu has a wide variety of options including always delicious favorites, and other unique choices.